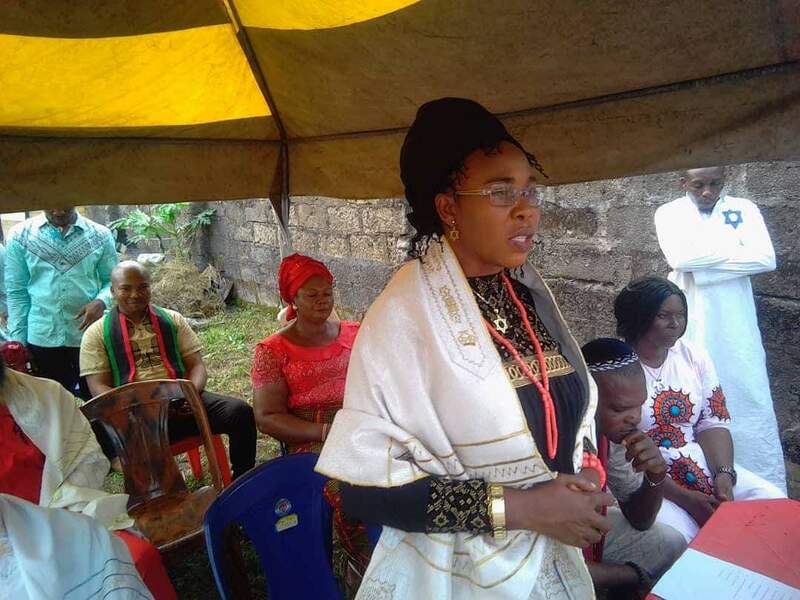 The Indigenous People Of Biafra (IPOB) Evangelical Team has taken a different dimension as they take the gospel of the restoration Biafra to Rumuolumeni brethren in Igweocha Biafraland. This gospel must be preached to the reach of the world as the leader of the Indigenous People Of Biafra (IPOB) will always said. We must spread this gospel of light to the ends of the earth. Because we are the light of the world. However, it was a great moment on this day the 11 November 2018, in Rumuolumeni Igweocha Biafraland with great minds. 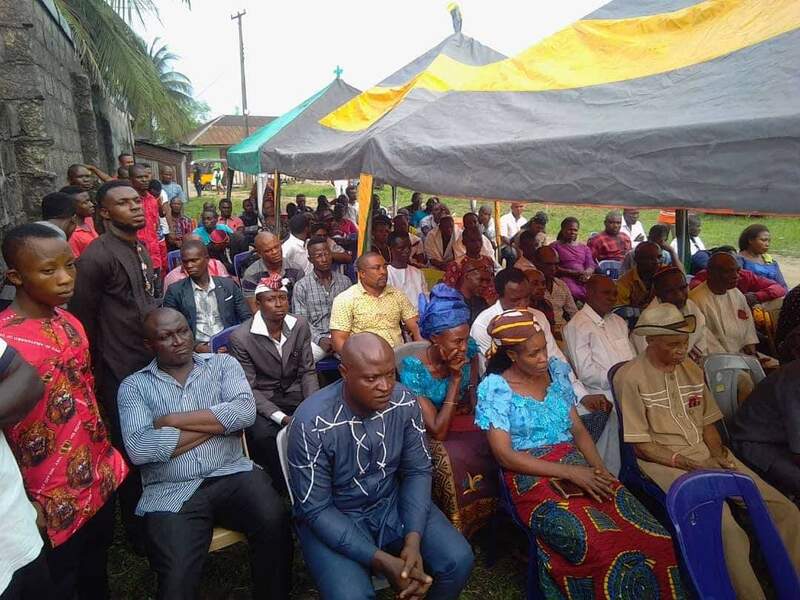 Women and men of honour who understood what it takes to restore the kingdom of Chukwu Okike Abiama upon the surface of the earth. We in the evangelical team are not relenting in spreading this gospel of light to the ends of the earth. Biafra is here already with us. All we are patiently waiting is the declarations of Biafra Nation. The work is almost done. We are taking this great gospel of truth to every nooks and cranny of Biafraland. This gospel must be preached without fear because our leader will always say and I paraphrase "We must remain fearless before our enemies" and always stand for the truth because in Igbo adage has it "Eziokwu bu Ndu" (Truth Is Life). The Biafra Nation is built on truth and nothing anyone could do about it. The history of the world is chronicle of oppression. The true measures of man are the degree of his success in meeting the challenge posed by this oppression. Man, therefore is born oppressed, his life is a struggle and his fulfilment freedom. Of all peoples of most oppressed is the black man, his true measure as a man is measured only by the degree of his success in meeting the challenge posed by imperialism. The story of Biafra is an account of the heroic efforts of the Biafran people to meet the challenge of colonialism in all its forms. Historical precedents, while constantly reaffirming the unchanging pattern of oppression, continually indicates the revolution is the only means left to a people for changing or breaking off the shackles of colonial oppression. Since oppression is maintained by force, it is only possible to remove that force to maintain colonialism is always material-the products of a sophisticated network of industry and technology-because this force is often denied the oppressed, force become the major weapon in the revolutionary arsenal of an oppressed people. It is this force which is moral that enables a total mobilization of the oppressed people to combat the oppressor. This force, the revolution within so change the oppressed people that almost overnight the signalized, lazy, cowardly, primitive people, without initiative, without stamina, at once becomes hard working, courageous, ingenious, persistent, modern. The metamorphosis is so complete, the result to unlike the original that the imperial giant finds itself fighting the unknown-an enemy it made no plans to meet. It is the nature of this change that force the oppressed to make wrong assessments, continually to miscalculate. He stumbles from one objective to another, from one dateline to another dateline and from one final offensive to another. The war is prolonged and he has no explanation. His soldiers get disillusioned, his people bewildered. For the enemy, war becomes an exercise in futility shadow boxing of the worst type unit, finally he collapses through the sheer weight of frustration. To us, war become a David and Goliath struggle. A struggle which David inevitably must win. The oppressed people of Biafra believe in this moral force that will inevitably humble the Nigerian giant and her bloodthirsty collaborators. In the course of this war, by a system of constant analysis and deduction, we have set out to remove the internal contradiction in our society and to purify our body polite. This becomes the bedrock upon which our nation is found. Hence, revolution for a colonized people is not a series of acts of violence, which in themselves are often revolutionary, but an indeterminate sequence of social changes punctuated and supported by various acts of violence. The complexities, the varied aspects, the full ramifications of colonialism are such that they at once make the struggle for freedom total and absolute. This demands of the oppressed first an identification, then a rejection of everything colonial, finally a determination, lest it should every recur, totally to eliminate all vestiges of colonialism wherever it is found. In conclusion; the Evangelical team of IPOB has taken it as a point of duty to make sure every Biafrans is enlightened with the truth and the bitter history of the past. We must never relent in the pursuit of Biafra Nation. Freedom is not cheap that we know for sure but will never fold our arms and allow the northern cabals to continue ruling over our destiny. 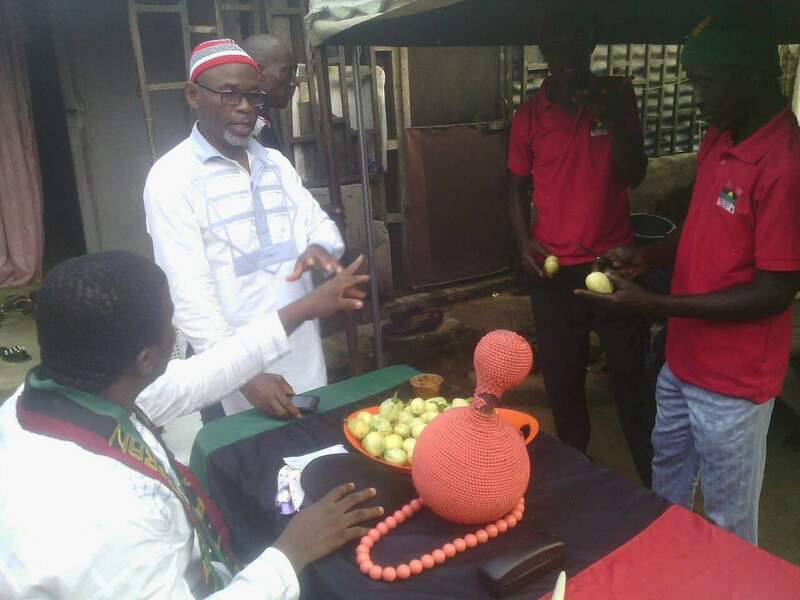 Biafra has risen. All Hail Biafra the children of the light.